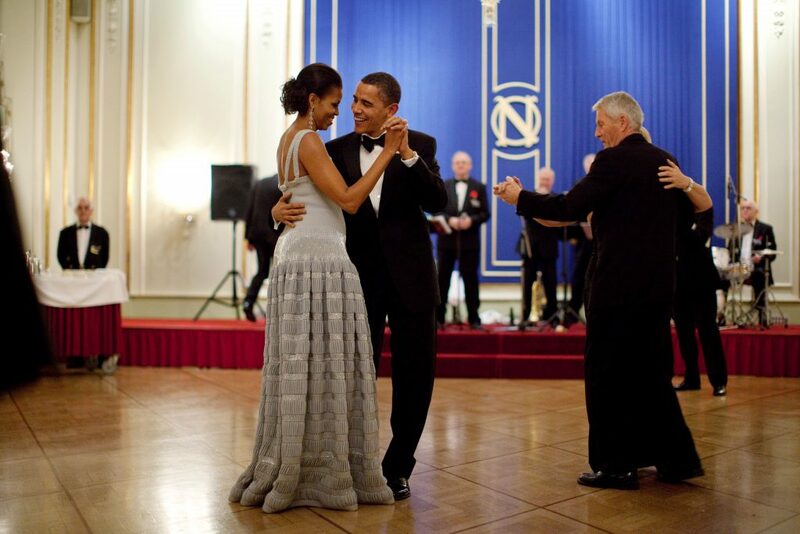 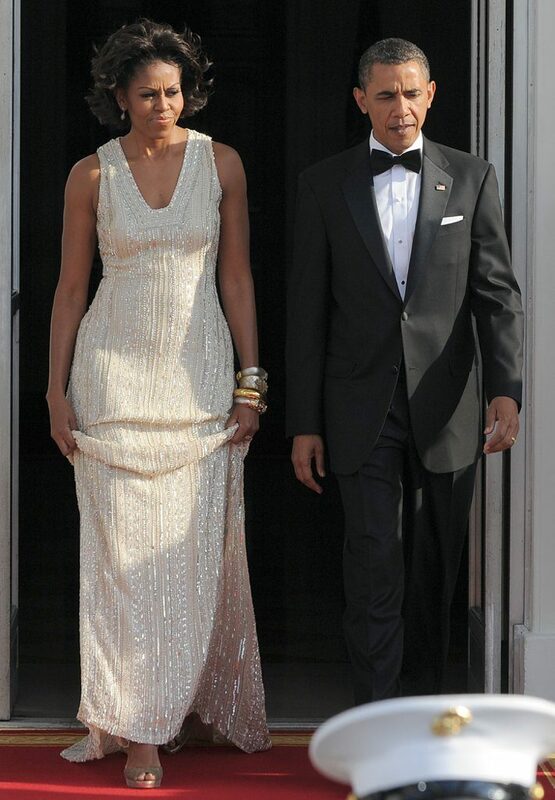 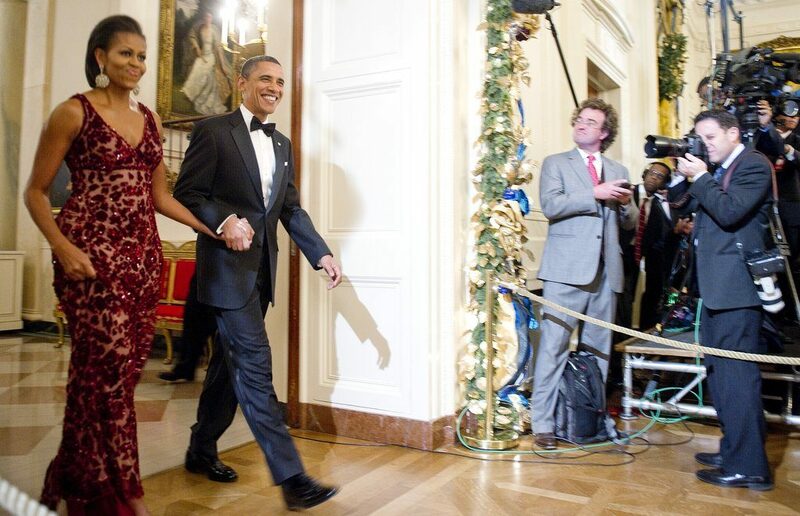 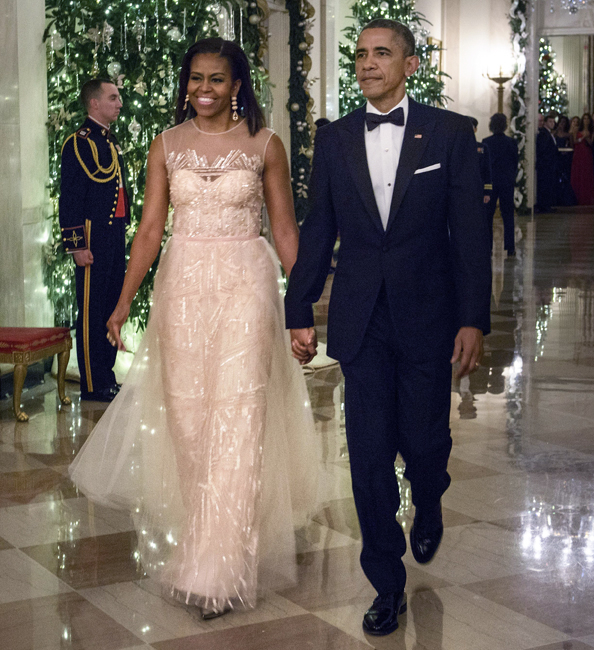 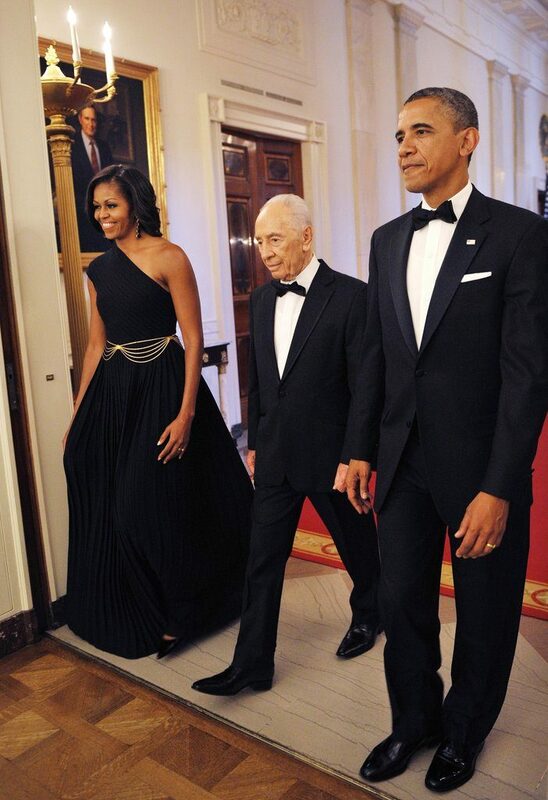 S. President Barack Obama and first Lady Michelle Obama enter the East Room for entertainment after a black-tie dinner at the White House on February 22, 2009 in Washington, DC. 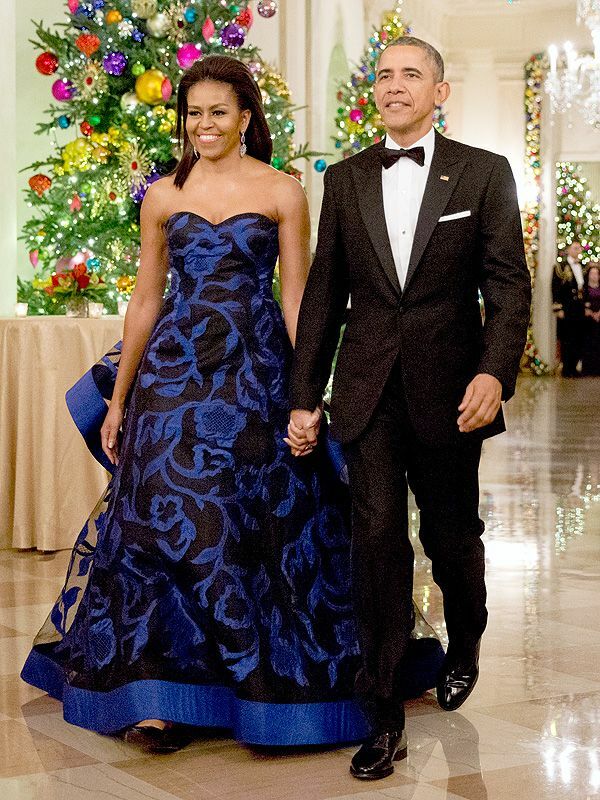 The Obamas gave their first formal White House dinner as hosts to the National Governors Association which has been holding their 2009 winter meeting discussing Obama’s stimulus program, health care, infrastructure and education. 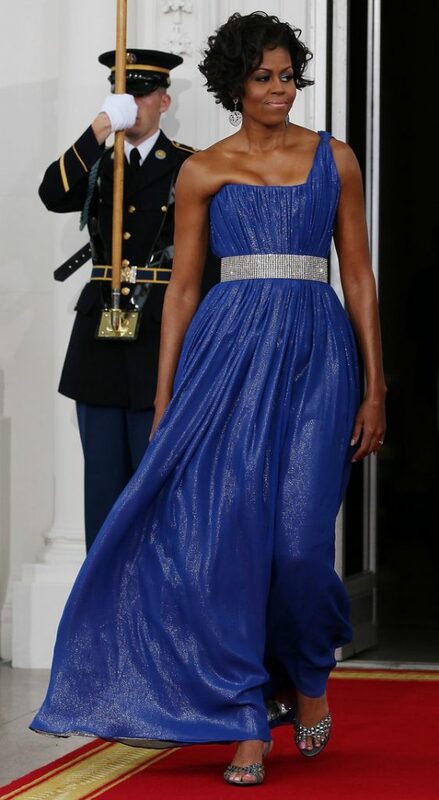 First lady Michelle Obama in a blue Peter Soronen gown walking to greet Mexican President Felipe Calderon and his wife Margarita Zavala for a State Dinner at the White House on May 19, 2010 in Washington, DC. 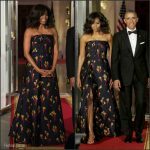 President Obama welcomed President Calderon to the White House today for an official state visit that is taking place amid tension over immigration politics and Mexico’s deadly drug war. 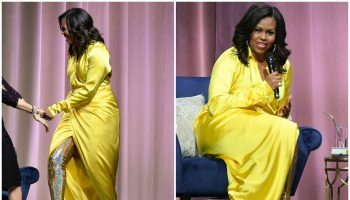 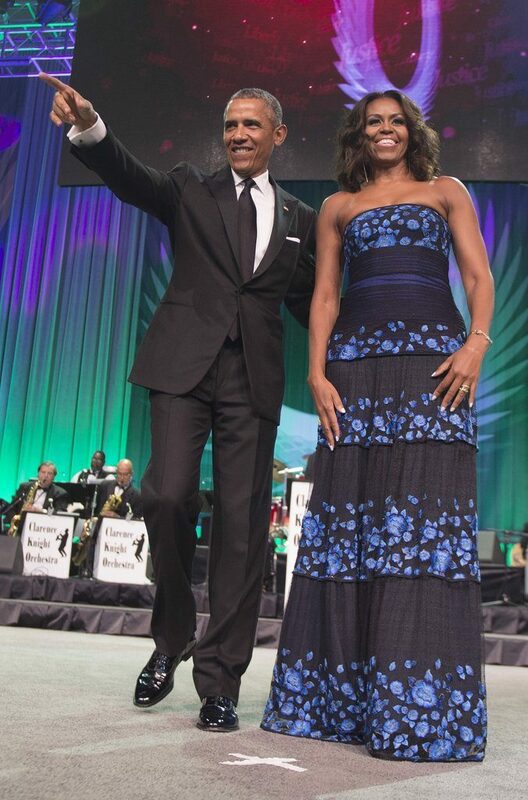 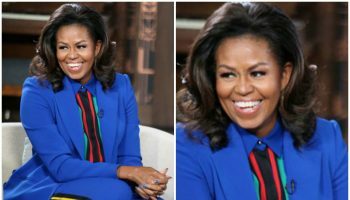 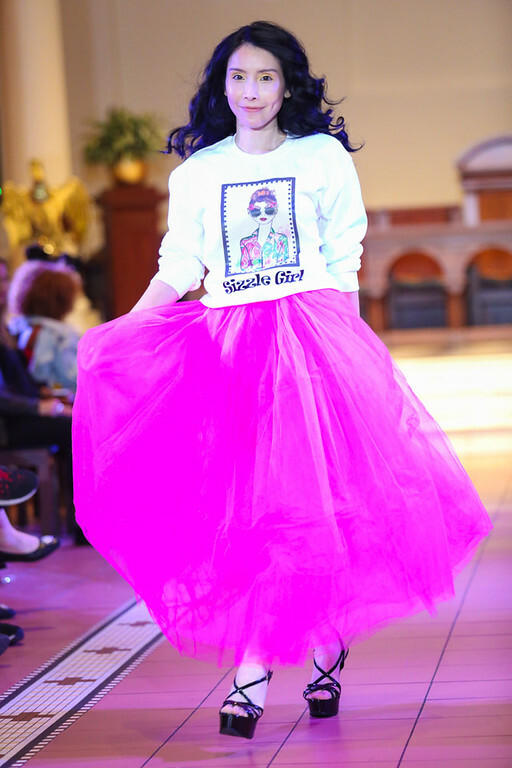 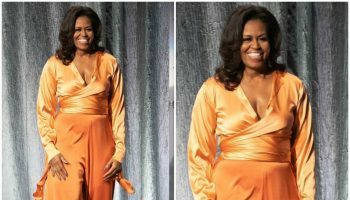 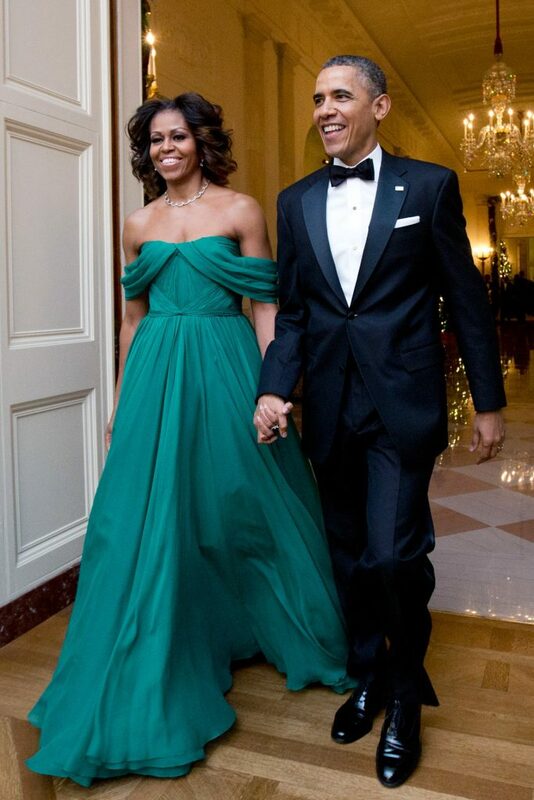 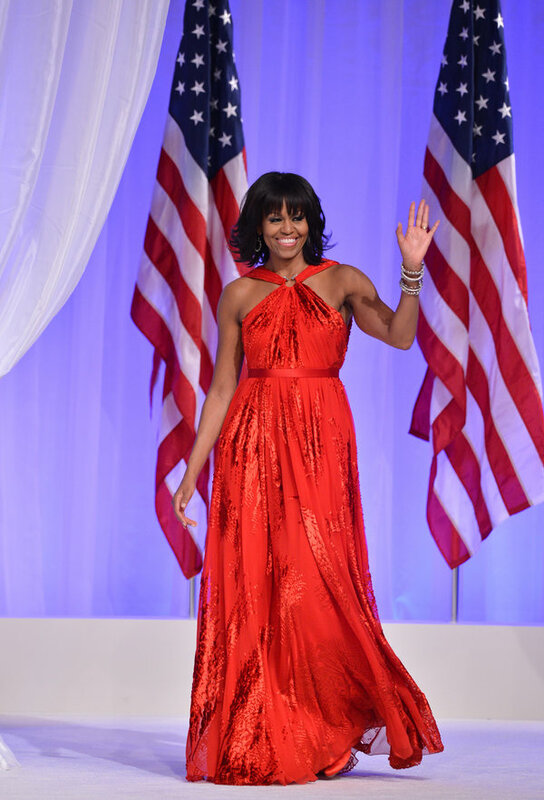 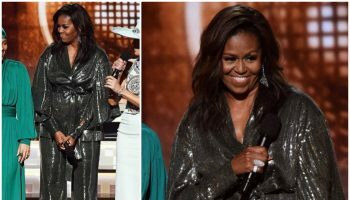 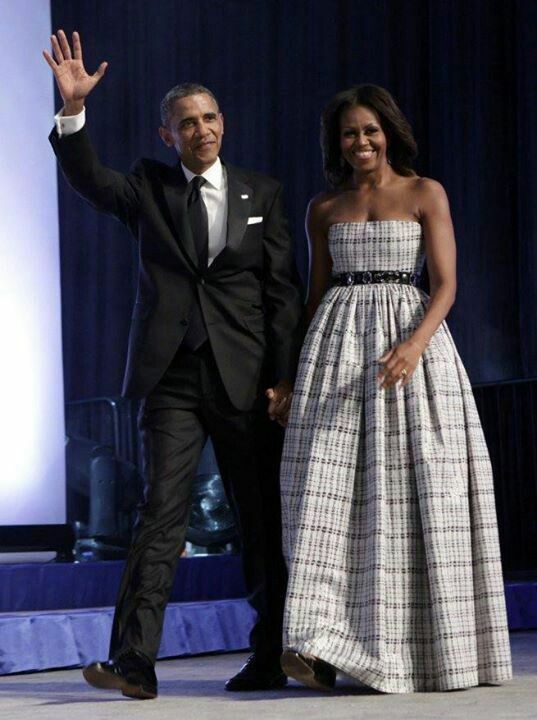 Michelle Obama attended the 45th Annual Legislative Conference wearing a gown by Japanese designer Tadashi Shoji in 2015. 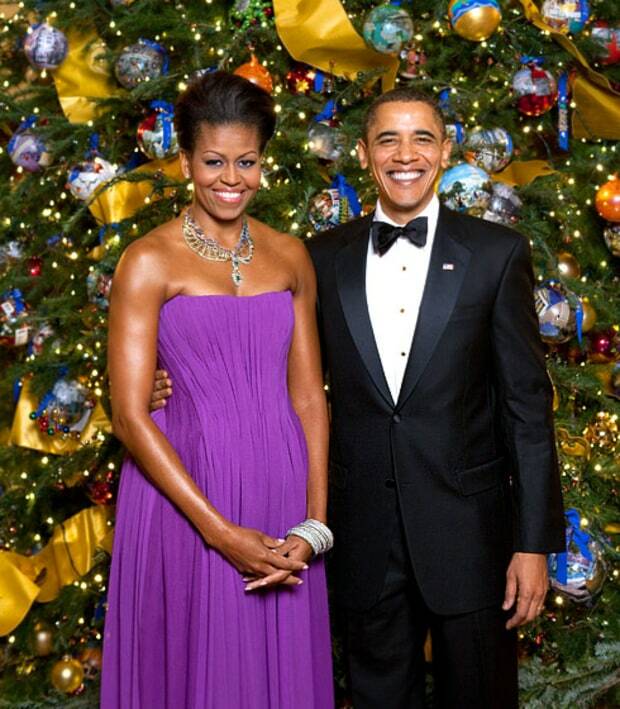 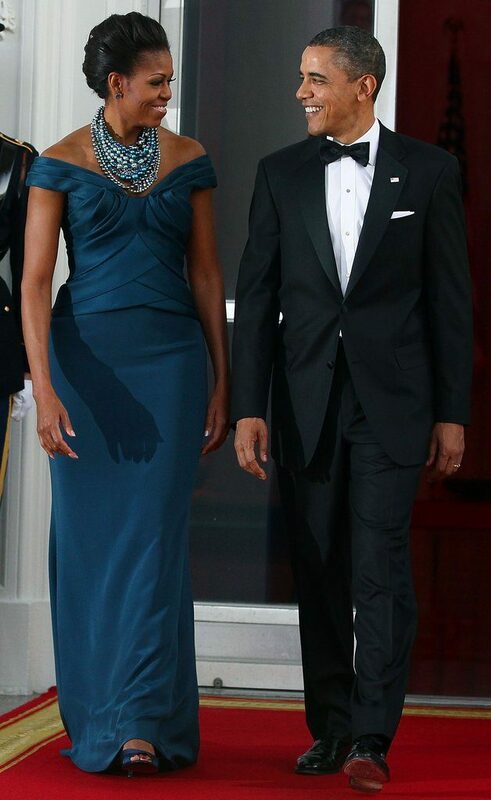 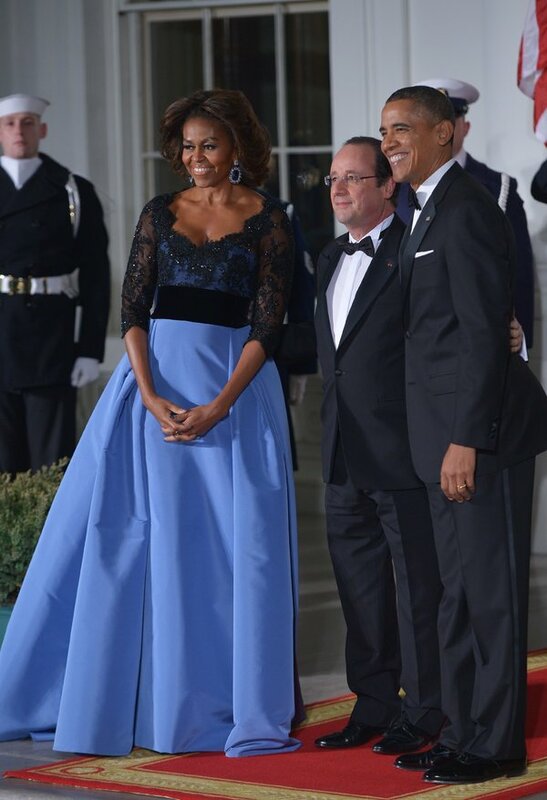 Michelle Obama in a draped blue and grey off-shoulder Marchesa gown. 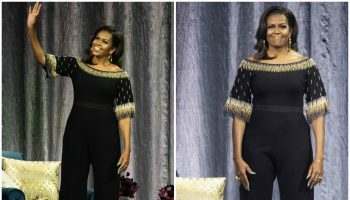 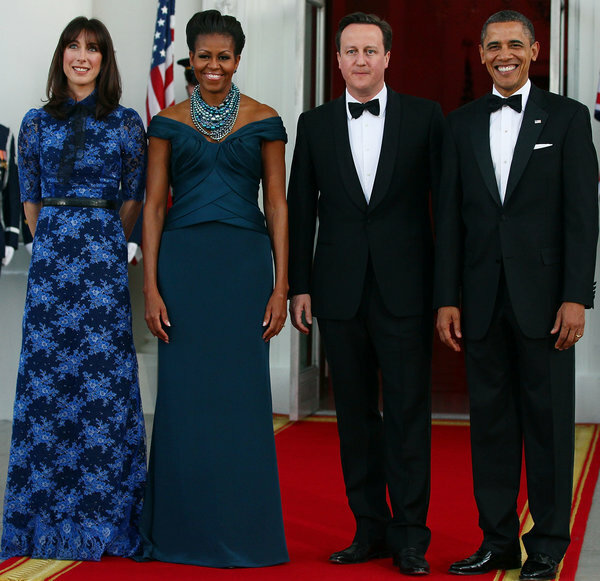 Michelle Obama in a Tom Ford gown at the state banquet held at Buckingham Palace in 2011, styled with cross-sleeved gown with matching elbow-length gloves. 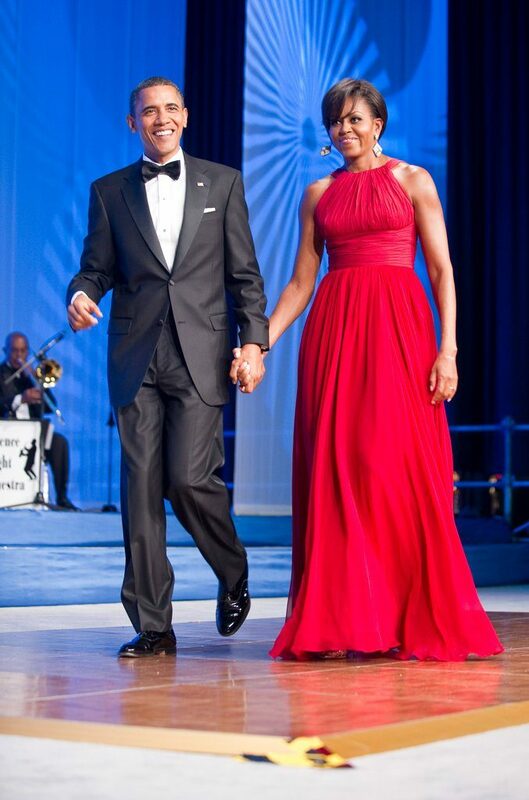 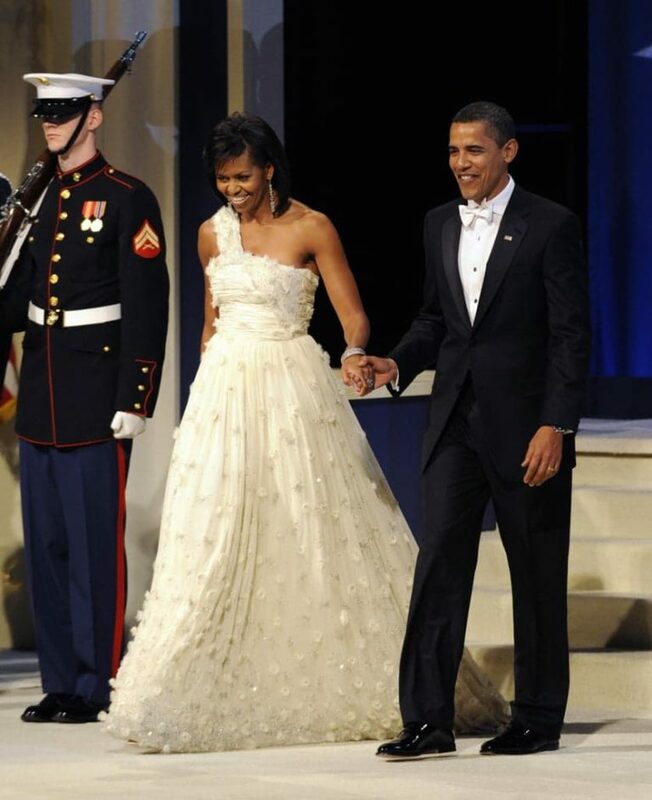 First Lady Michelle Obama at the 2009 Inaugural Ball, Obama stunned in a Jason Wu gown. 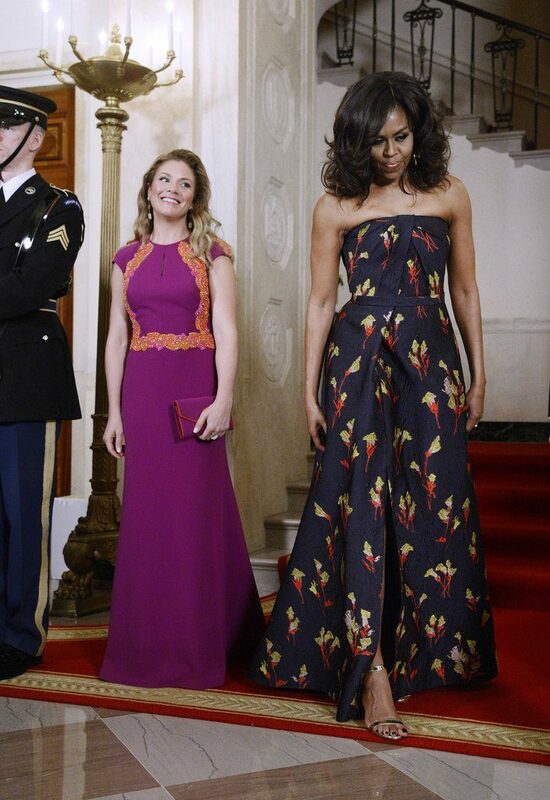 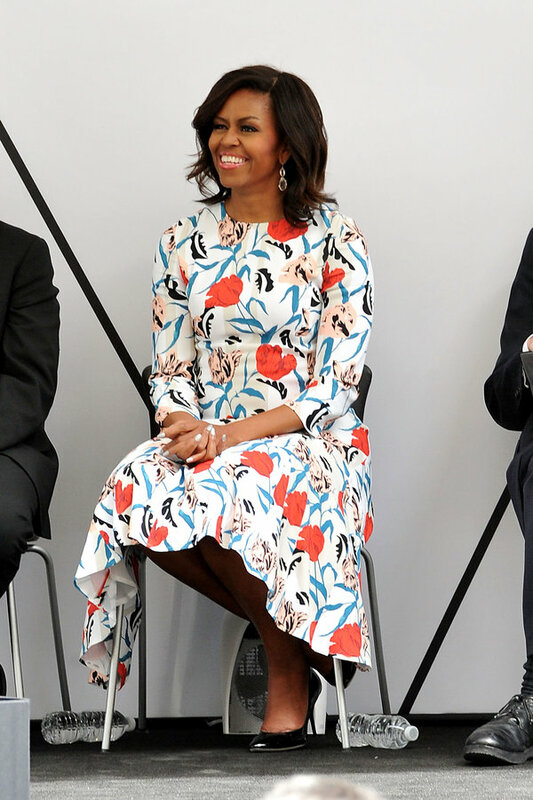 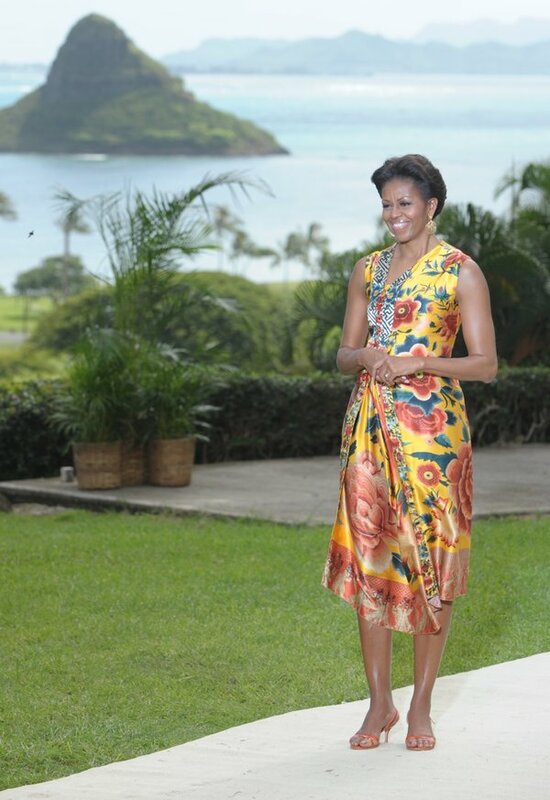 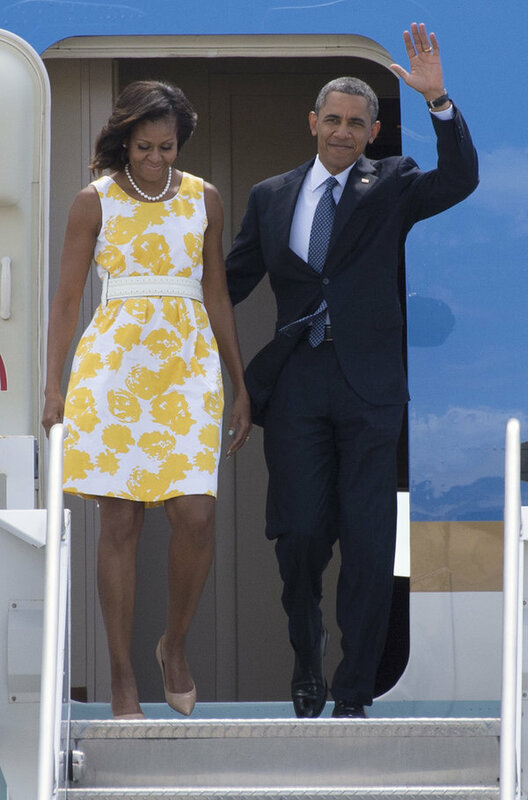 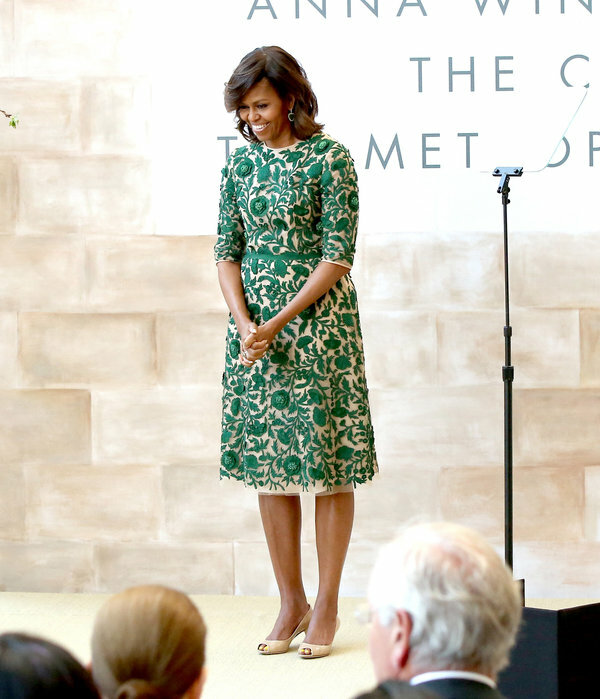 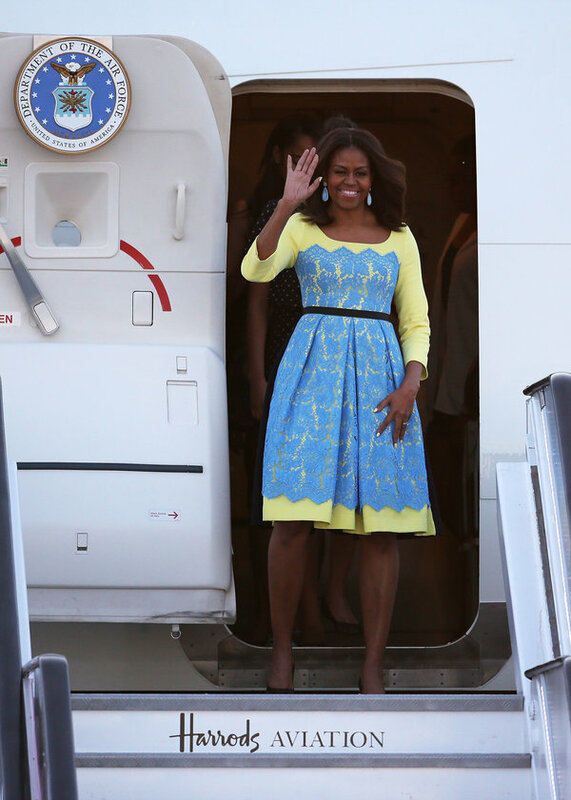 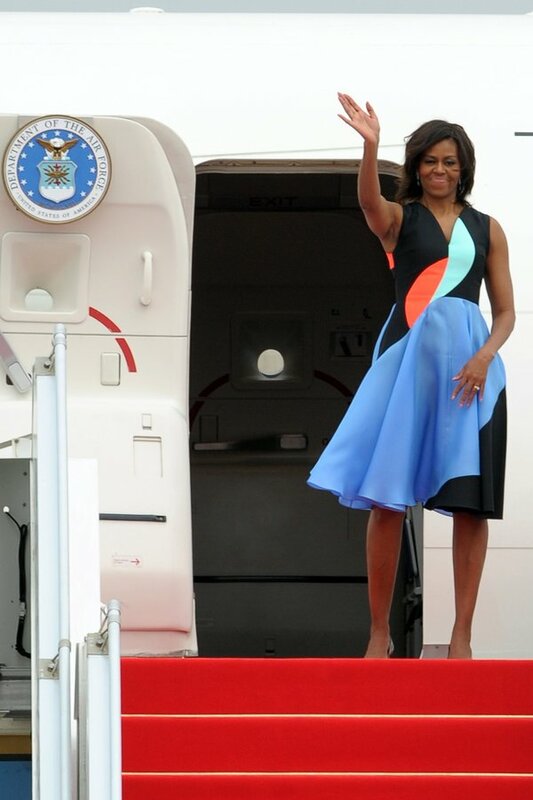 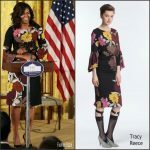 Michelle Obama welcomed the Prime Minister of Singapore and his wife in 2016 wearing a strapless floral Brandon Maxwell column gown. 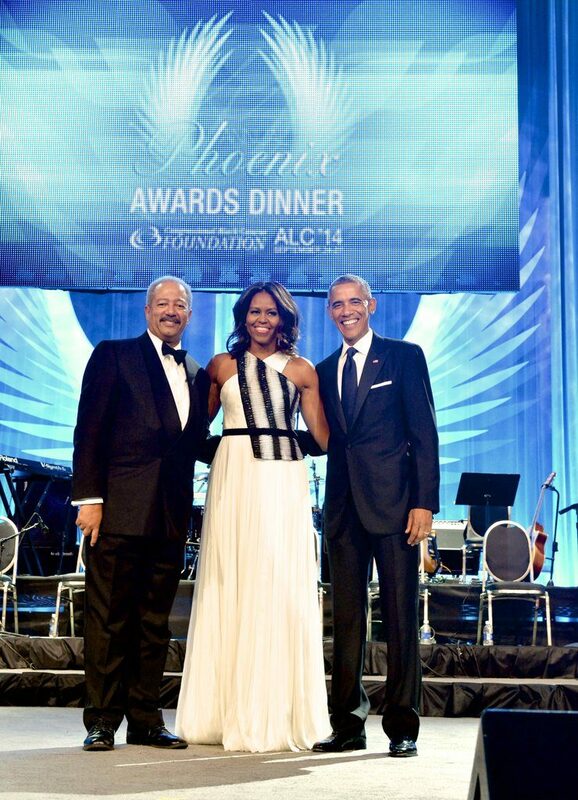 Michelle Obama in a black Michael Kors gown at the Phoenix Awards Dinner, 2012. 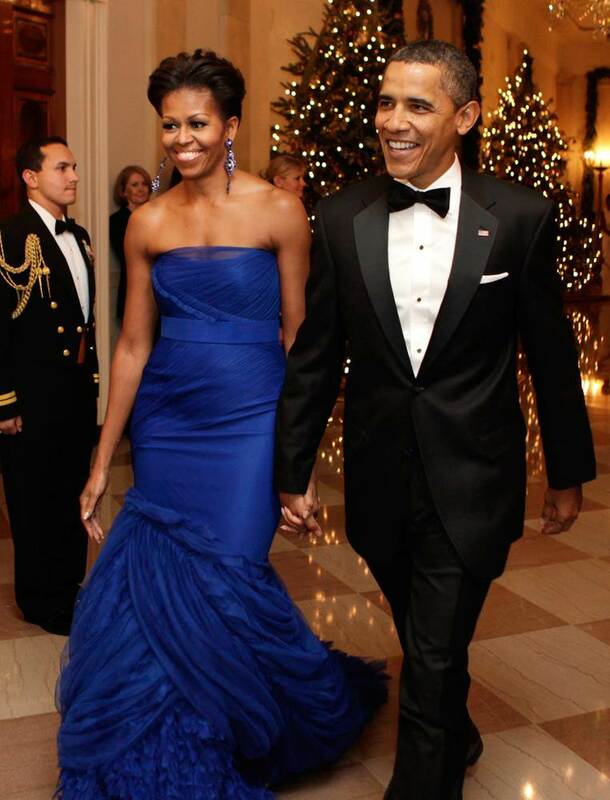 Michelle Obama At the Kennedy Center Honorees Reception in 2011 , in a cobalt blue Vera Wang gown. 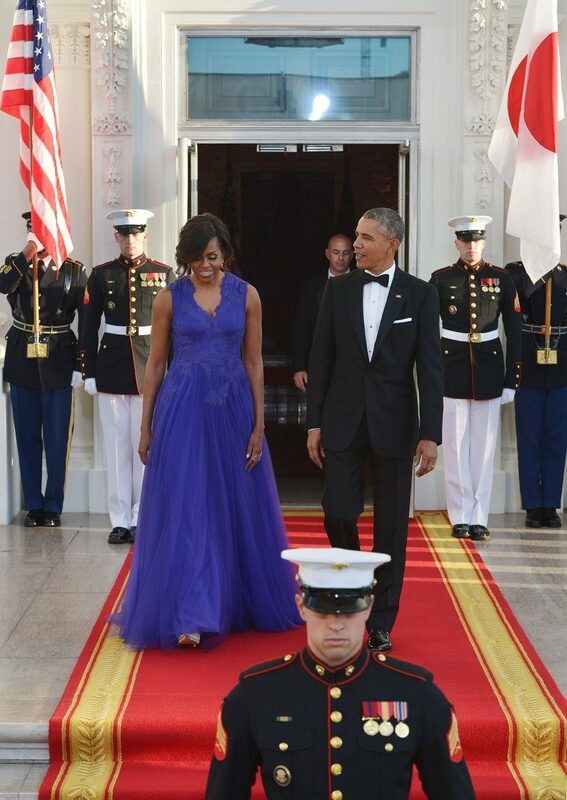 Michelle Obama at State Dinner with South Korean President, South Korean President Lee Myung-bak and his wife, she wore a purple gown by the Korean-American designer Doo-Ri Chung in 2011. 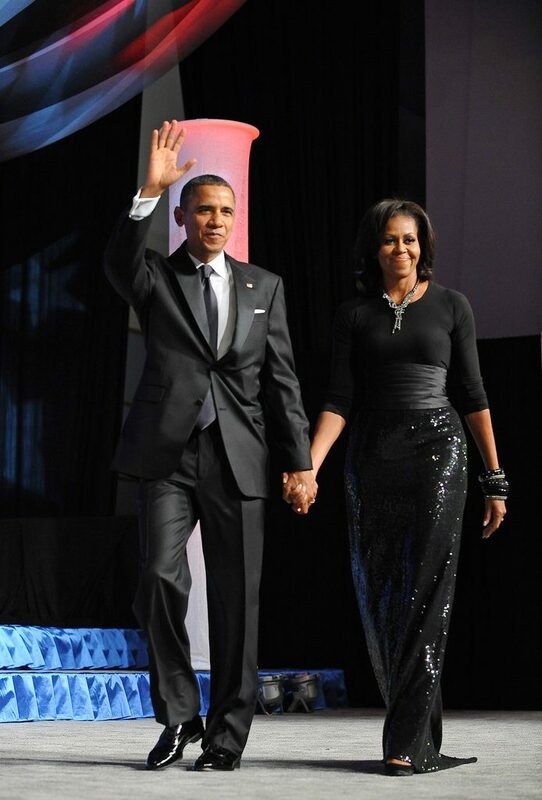 First Lady Michelle Obama in a black Michael Kors gown at the Phoenix Awards, 2011.